Holder of Warren and Doris Uehlinger Endowed Professorship in Business. Glenn M. Pfeiffer received his M.S. in Finance and Ph.D. in Accounting from Cornell University after he earned a bachelor's degree in Economics from Hope College. Prior to joining the faculty at the Argyros School, he held faculty appointments at the University of Washington, the University of Chicago, the University of Arizona and San Diego State University. Dr. Pfeiffer's research focuses on accounting disclosures and capital markets. He has investigated issues relating to financial reporting of leases, inventories and earnings per share, fair value disclosures, executive compensation, corporate reorganization and technology investments. He has published peer reviewed research articles in several accounting, finance, economics and management academic journals. In addition, he has published three accounting textbooks, an accounting casebook and numerous case studies in financial accounting and reporting. Dr. Pfeiffer teaches financial accounting and financial analysis to undergraduate, MBA, Executive MBA and Law students. He has won several teaching awards and was the recipient of the 2007 Valerie Scudder Award. Nina LeNoir joined the Chapman community in 2009. She works with academic programs and initiatives that cut across the university, including General Education, Freshman Foundations Classes (FFC), Honors Program, Academic Advising, Undergraduate Research, Promising Futures, and the Tutoring, Learning and Testing Center. She completed her M.F.A. and Ph.D. in Theatre History/Criticism at The University of Texas at Austin and has been a faculty member at Bradley University and Minnesota State University, Mankato. She also served as Director of Instruction and Interim President at the American Academy of Dramatic Arts, Los Angeles. She is a professional theatre director and has directed over 50 productions at professional and educational theatres. She has published articles on theatre in cyberspace, audience interaction and dramaturgy. She was awarded the Kennedy Center American College Theatre Award for Excellence in Theatre Education. At Chapman she teaches FFC and theatre classes. Dr. Miller holds the Donna Ford Attallah Endowed Professorship in Teacher Education in the Attallah College of Educational Studies. A member of Chapman's faculty since 2005, Dr. Miller teaches at the undergraduate and graduate levels and has served as Principal or Co-Principal Investigator on state and federal research grants representing over $3.5 million in career funding. Her research centers on teacher professional development, the home-to-school connection, and STEM education. She is currently Chair-Elect of the Small Colleges Special Interest Group of the Professional and Organizational Developers (POD) Network, served as Division K Teacher Education Program Co-Chair for the American Educational Research Association (AERA) from 2013-2016, and as Contributing Editor to NSTA’s Science Scope journal from 2005-2009. From 2014-2016, Dr. Miller held Chapman’s Outstanding Teaching Professorship, the university's highest honor in teaching and represented Chapman in the Carnegie Foundation’s 2014 U.S. Professor of the Year competition. In 2017, Dr. Miller completed Harvard University’s Management Development Program in Higher Education and began her service as Vice Provost for Graduate Education in January 2019. Joe Slowensky joined the Provost’s Office in 2009 after serving for seven years as Chair of the Film Division and Graduate Conservatory of Motion Pictures in Dodge College of Film and Media Arts. Slowensky oversees Chapman’s institutional effectiveness efforts through assessment and program review as the university’s Accreditation Liaison Officer (ALO). He also supervises faculty processes for hiring, contracts, tenure and promotion, and annual review. Slowensky is a member of the Writers Guild of America, West, and the Academy of Television Arts and Sciences Writer’s Peer Group, where he’s a voting juror for the annual prime-time Emmy Awards. He has written movies-of-the-week for ABC, the Disney Channel, and CBS. Slowensky received his MFA from USC’s School of Cinema-Television and a BS in Radio-TV-Film Communication from the University of Texas at Austin. As a Professor of Film and Media Arts, Slowensky teaches courses in screenwriting and film production. Dr. Murphy joined the Chapman community in 2008. He teaches business analytics, operations management and statistics courses in the executive, graduate and undergraduate business programs. These courses emphasize quantitative analysis, effective decision making in context and the implementation of impactful change. He also teaches in the Freshman Foundations program and has taught in the Honors Program. Dr. Murphy has published in Operations Research, Naval Research Logistics, Communications of the ACM and Information Systems Journal among others. As the former Assistant Dean of Undergraduate Programs at the Argyros School of Business and Economics, Dr. Murphy was responsible for undergraduate student academic and initial professional success from 2011-2015. He managed assurance of learning process at the School and guided a successful reaccreditation with the AACSB. Dr. Murphy continues to focus on innovation at Chapman University. Currently, he is a leading advocate for the implementation of analytics education and research at the University. In 2015-16, he implemented an interdisciplinary minor in Analytics at the Argyros School and Schmid College open to all Chapman Students. He has led initiatives in alternative methods and new spaces for innovative educational delivery. Ms. Gerbasi began teaching theatre in Chapman’s Communications Department in 1982. Before joining the Provost’s office in 2007 she was Associate Dean of the School of Communication Arts for many years. For 20 years she served as tournament director for the Henry Kemp-Blair Annual Shakespeare Tournament. She was on the producing team for American Celebration from 1984-2005, most recently serving as executive producer. Ms. Gerbasi has a B.A. in Communications with an emphasis in media production and a M.A. in English with a concentration in media writing. As Assistant Provost she reviews academic appeals, new and revised courses, and changes in the annual catalogs as well as communicates with faculty and staff on a number of academic deadlines. Dr. Arredondo Samson came to Chapman from California State Polytechnic University, Pomona, where she served as a research associate in the Office of Institutional Research and Planning. She was the principal investigator for that institution's Campus Climate Survey project, was involved in the preparation of their accreditation self-study report, and worked to develop several campus-wide surveys. Before arriving at CSU Pomona, she was at the nationally recognized Higher Education Research Institute at UCLA. Dr. Arredondo Samson holds a Ph.D. in Higher Education and Organizational Change, a M.A. in Educational Psychology with an emphasis in counseling, and a B.A. in Psychology--all from the University of California, Los Angeles. She currently works with "Achieving the Dream," a multiyear national initiative to help community college students succeed. Eileen Besner joined Chapman in 2008. As director she supports faculty processes for hiring, tenure and promotion, annual evaluations, and faculty development. She completed her Masters in Human Resource Management at Chapman University and holds a Bachelors of Science in Business Administration from California State Polytechnic University, Pomona. Eileen works closely with faculty and faculty governance. She also oversees the operation of the Marvin W. Meyer Faculty Athenaeum which serves as a center for faculty discussion and collegial support. 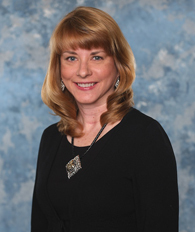 Dr. Julye Bidmead is the Director of the Center for Undergraduate Excellence and an Associate Professor of Religious Studies in Wilkinson College of Arts, Humanities, and Social Sciences. She received a Ph.D. from Vanderbilt University in Religion. Prior to joining Chapman University in 2007, she held faculty positions at Miami University (OH), James Madison University, and California State University, Fresno. Dr. Bidmead teaches classes in Religious Studies, FFC, and the University Honors Program. She has won several teaching awards including the Valerie Scudder Award and Pedagogical Innovative Award. Dr. Bidmead's publications include The Akitu Festival: Religious Continuity and Royal Legitimation in Mesopotamia (Gorgias Press, 2004), Invest Your Humanity (Pickwick, 2016), and numerous articles on Near Eastern religion, ritual studies, and gender. Her most recent research project, Recovering Women's Rituals in the Ancient Near East (Equinox Press), explores women's religious roles and rites of passage in ancient Israel, Mesopotamia, and Canaan. Dr. Bidmead is currently the Education Director and field archaeologist on the Jezreel Expedition, where she spends her summers excavating the world of the ancient Israelites. Roberto began at Chapman in 2010. As Director, Roberto oversees the undergraduate academic advising services provided by the Academic Advising Center. Prior to coming to Chapman, he served as the Assistant Director of the Academic Advising Center and Coordinator of Academic Probation and Disqualification Services at CSU Fullerton. Additionally, he served as Assistant Director of the Student Access to Science Center at CSU Long Beach, and as the Associate Director of the Mesa Engineering Program (MEP) and the Mesa Schools Program (MSP) at CSU Fresno. 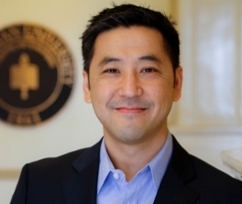 Dr. Paul Kang joined Chapman University in 2011 and has taught graduate and undergraduate courses on topics such as research methods and conflict management. In 2014, he was appointed to serve as the Director of Program Assessment and Improvement for the Attallah College of Educational Studies. He worked with Attallah College graduate and undergraduate programs to help prepare them for multiple accreditations, including California Commission on Teacher Credentialing (CTC), Council for the Accreditation of Educator Preparation (CAEP), National Association of School Psychologists (NASP), and WASC Senior College and University Commission (WSCUC). Dr. Kang’s research interests include assessment, organizational conflict, effective teamwork in sports teams, and research design. His work has been published in Business Communication Quarterly, Communication Methods and Measures, Communication and Sport, and Small Group Research. Dr. Kang earned his Ph.D. and M.A. in Organizational Communication from the University of California, Santa Barbara; and his B.A. in English Literature from the University of California, Los Angeles. Erin Pullin came to Chapman in 2008 and joined the Provost's Office in 2015. She coordinates the Chapman Diversity Project, a large-scale institutional initiative focused on enhancing the campus climate and serves as a resource for the campus community in regard to diversity and inclusion. Collaborating with numerous students, staff, faculty, administrators, alumni and trustees, Erin works with the Chapman Diversity Project to implement recommendations made by each group in the Spring of 2015. Erin completed her B.A. at the University of California, Santa Barbara in Women's Studies and her M.S. in Organization Development & Change from American University, Washington D.C. Erin is an adjunct faculty member in the Leadership Studies Program in the College of Educational Studies and formerly served as Assistant Director for Cross-Cultural Engagement within Student Affairs. Her consulting background has focused primarily on strategic planning, training and development, curriculum design, and diversity education with clients such as Oregon State University, CSU Los Angeles, the California Conference for Equality & Justice, Just Communities and the University of Vermont. Crystal De La Riva, B.A.